Last month the British Medical Association called on the UK government to introduce a 20% tax on sugary drinks. The bold step, said the BMA, could be a useful first step by the government in tackling poor eating habits which are increasing prevalence of obesity and diet-related health problems in the UK. The money raised could then be used to subsidise the cost of fruit and vegetables. This proposal wasn’t just tinkering at the edges of the food problem, it was diving right in and there is some merit in what the BMA suggested. Fat, salt and sugar in excess are all real problems for our health. Of these sugar is arguably the most damaging. Excess sugar is linked to metabolic syndrome diseases such as diabetes, hypertension, cardiovascular disease, non-alcoholic fatty liver disease, cancer and dementia. In a comment in the journal Nature, researchers at University of California have stated that it contributes to 35 million deaths globally, every year. If you want to know why there is so much sugar in our food you need only to look to our increasing reliance of processed and pre-prepared foods. Sugar, in itself, is a useful substance. Food ‘technologists’ will tell you it adds taste, bulk and texture to foods. It is a useful preservative. It acts as a feedstock in fermented foods such a yoghurt and cheese. In baked products it adds an appealing brown colour and in preserved products it helps to preserve natural colours of fruits and vegetables. 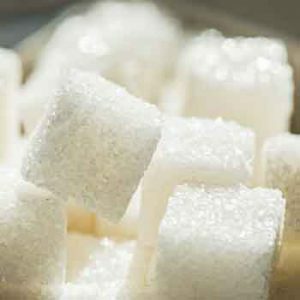 When you have a food system which relies overwhelmingly on foods that can stay on the shelf a long time and be shipped over long distances and not spoil, sugar may even be preferable to a whole range of synthetic preseratives. At least in theory. High sugar diets change us from the inside out. They have been linked with the earlier onset of menstruation in girls – which in turn is a risk factor for breast cancer and other estrogen dependent cancers later in life. In another study animals on a high sugar diet (the equivalent of 3 cans of soda per day) died earlier, produced fewer offspring and suffered behavioural changes that threatened their survival. A high sugar diet literally ages you. The cause is a natural process that’s known as glycation, in which the sugar in your bloodstream attaches to proteins to form harmful new molecules called advanced glycation end products (ironically, AGEs for short). The more sugar you eat, the more AGEs your body produces. AGE’s can prematurely wrinkle your skin, they also affect other organs and tissues in the body and are involved in the development of diabetes. In diabetics, harmful molecules – dicarbonyls – which are breakdown products of glucose have recently been shown to interfere with infection-controlling antimicrobial peptides known as beta-defensins, and therefore compromise immunity. Food manufacturers do tinker at the edges of this problem. They create ‘no added sugar’ products which include fake sugars like aspartame, sucralose and saccharin – all linked to health problem, all implicated in health problems such as an increased risk of type-2 diabetes and weight gain. It has also been speculated that they can confuse the mechanism by which the body identifies a foods caloric content by its sweet taste. Other ‘no added sugar’ products include healthy ‘fruit sugars’ like fructose which is just an obfuscation of the fact that sugar is sugar is sugar. We do need bold action on sugar. A sugar tax is one (contentious) way to go, but another would be to remove the huge volumes of junk food from our shelves. We love the idea that we live in a society full of ‘choices’, where the average supermarket have 40,000 products on display. But so many of these products are pre-packaged foods that nutrient poor and high in sugar, fat and salt. If we can’t resist these products, either because of a weakness in ourselves, or because of the addictive nature of junk foods (most likely a combination of both), then maybe it’s time to call time on the junk food market – and perhaps, instead of always penalising the consumer, consider a ‘supermarket tax’ – similar to the one proposed recently to stop supermarkets siphoning off local revenue. Why not penalise those establishments that continue to threaten public health and feed a broken system? That would certainly set the fat cats amongst the pigeons. Whatever we do, for health’s sake, let’s do it soon.